Please note: to use the device with a camera you need to have a compatible camera cable with 2.5mm jack. 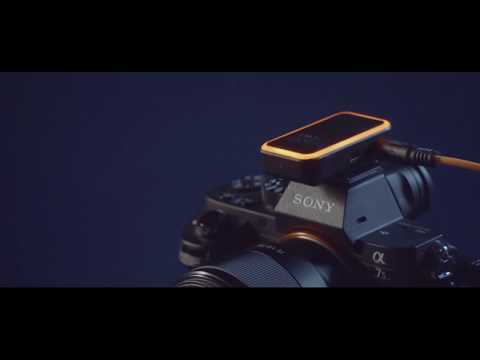 The MIOPS MOBILE Remote is an exciting solution for DSLR or mirrorless camera owners looking to take amazing photos with the power of smartphone. It connects to the shutter release port of your camera and communicates with your smartphone over Bluetooth. The MIOPS MOBILE offers Vibration, Sound, Motion and Distance or even various Timelapse modes to fire your camera remotely. It also provides basic shutter release modes like Press&Hold, Press&Lock, Timed Release, Self Timer and HDR. Refined user interface of MIOPS MOBILE smartphone app is easy to use and readily adjustable to fit your needs. Just select the desired mode and leave the control to your smartphone. It will fire your camera while you relax. If you own a MIOPS MOBILE REMOTE, you don't have to settle for ordinary timelapse modes. It offers Basic, Long Exposure, Bulb Ramping and HDR Timelapse modes in one device. You can use your smartphone independently during timelapses. You can use any of these stand-alone modes sequentially to create your own unique story. Moreover, schedule your desired mode or sequence to any time and enjoy your life. MIOPS MOBILE REMOTE uses the microphone of your smartphone to detect the sound so you can capture sound events. It works like a charm. Have you ever seen yourself while screaming? MIOPS MOBILE can also sense vibrations by accessing your smartphone’s gyroscope and accelerometer. Fix your smartphone to basketball pole and capture your best slam dunk. With the RoadLapse mode, one of the best ways to leverage your phone’s GPS data, MIOPS MOBILE takes full advantage of this technology by firing the shutter over predetermined distances. MIOPS MOBILE offers far more functionality than a standard cable release. Its six different cable release modes put you in command of the shutter. You can release it with a single touch, keep the shutter open as long as you want, or set a timer to release the shutter. Press&Lock, Press&Hold as well as the Timed Release functions will turn Star Trail photography into a piece of cake. MIOPS MOBILE is equipped with Bluetooth 4.0 technology for low power consumption. It comes with a rechargeable battery that will last for 24+ hours. You can automatically and wirelessly upgrade the device’s firmware. The app will be available for both Android and iOS. The app and firmware upgrades will be completely free forever! The app is available for both Android and iOS and the app and firmware upgrades will be completely free forever!